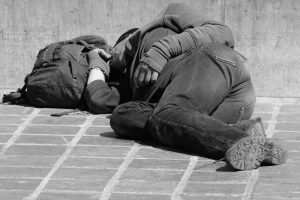 Services, run by Light For Life, are at hand as we to try and reduce the number of people sleeping rough in Sefton, especially during the colder winter months. This is especially important during the cold winter months between December 2018 and February 2019. Light For Life’s winter shelter, which will open as weather conditions dictate, will be offered at Southport Eco Centre and will be open from 10pm to 7am with light refreshments and a warm, dry, safe environment for people to access. As part of this service, outreach teams will proactively seek out rough sleepers and encourage them to access the night shelter. If you are concerned about someone’s wellbeing, please direct them to the Shelter or to the sit up services available all year round. The help of the public is always appreciated and to report an incident of rough sleeping in Sefton please call the Rough Sleeper Outreach Team via Light for Life on 01704 501256 or 07918 746042 outside normal office hours and weekends. Sefton Council also commission Sefton Supported Housing Group to provide a Homeless Sit Up service. These services are available nightly and you can book in between 8pm to 9pm. and it promises a safe, warm and caring environment where service users will be given a mat and sleeping bag. There are also shower facilities and hot food & drinks until 8am the next morning. Services are provided at BOSCO House, Merton Road, Bootle (0151 944 1818) or New Start, Leyland Road, Southport, (01704 547 741). Veterans in Sefton have also been commissioned to provide support to people who are currently serving or who have served in the Armed Forces, both regular and reservists, their families and dependents, who are homeless or threatened with homelessness. ViS are based at The Brunswick Youth and Community Centre in Bootle. For any further information call 0151 257 6371 or attend the ‘NAAFI Break’, Wednesdays 10.30am – 12.pm.